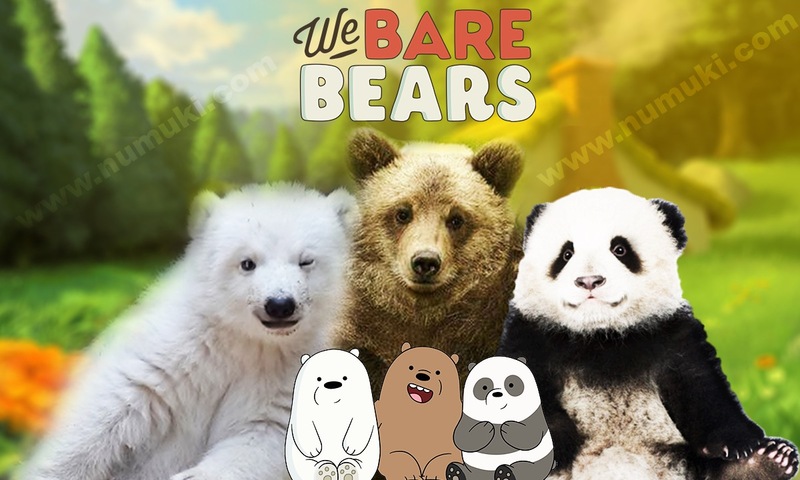 Grizz, Ice Bear, and Panda Bear are the loveable bears featured as the main We Bare Bears Characters. 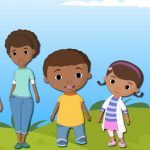 The three bears are adopted brothers and live in Seattle together, getting into all sorts of shenanigans and having wacky adventures! But how do the three bears measure up to their wild counterparts? Read on for some fun facts about wild bears! Grizzly “Grizz” Bear is the leader of the three adoptive brothers. Grizz is gluttonous, outgoing, and optimistic! Grizz was born in Canada, but unfortunately, the forest where he lived was being cut down, and Grizz had to leave. He now lives in Seattle with Panda Bear and Ice Bear. Grizz is a grizzly bear and has brown fur and black eyes. He is of average size for an adult male grizzly bear standing six feet tall and weighing 600 pounds! Much like a wild Grizzly Bear, Grizz has been known to hibernate. He is a little bit lazy, messy and prone to mood swings. Grizz can roar very loudly! Grizz is very strong and has an excellent sense of smell. He loves to eat – particularly burritos – and he can eat more than Panda and Ice Bear, his fellow We Bare Bears characters, in less amount of time. Grizzly bears are also known as the North American Brown Bear as they can be found in Alaska, Western Canada, and the Northwestern USA. Grizzlies have long claws that are great for digging and are known for the distinctive hump on their shoulder. Grizzly bears hibernate for 5-7 months of the year! In order to prepare for the winter, they consume A LOT of food and gain up to 400 pounds! Unlike Grizz however, they do not eat burritos – unless perhaps it is a salmon and berry burrito! Try feeding Grizz while playing the Fun Raiser game to figure out what he wants! Grizzly bears are generally solitary animals and have huge territories. Grizzlies are omnivores, which means they eat both plants and animals. They have been known to eat large mammals, salmon, trout, bass, birds, eggs, grass, berries, and squirrels. Grizzly Bears can be aggressive, and they do not climb trees well. Unlike the social Grizz, wild Grizzly bears tend to avoid contact with people! Ice Bear is a polar bear from Siberia, in Russia. Siberia is part of the Arctic Circle where all Polar Bears live. That also includes territory in Greenland, Norway, Alaska, and Canada. Polar bears are carnivorous which means that they only eat meat, mostly seals! Ice Bear is fairly small for a Polar Bear standing six feet and two inches tall and weighing 590 pounds. A typical adult polar bear can weigh over a thousand pounds and stand up to ten feet tall! Ice Bear has strong retractable claws which polar bears use to grip the ice as they walk. Polar bears are known as marine mammals as they spend most of their time on sea ice. Play with Ice Bear in the game Beary Rapids to see how he fairs in the water! Ice Bear, like all polar bears, loves the cold – he even sleeps in the refrigerator! Ice Bear has an excellent sense of smell like most polar bears. However, unlike Ice Bear, who lives with his two brothers, polar bears are often solitary creatures – although they do sometimes like to play-fight and even sleep with other polar bears! Panda Bear is a Giant Panda from the South Central region in China! Giant Pandas are known for their distinctive black and white markings (and for the loud sneezes their babies make!). Panda is quiet, anxious, and cute, and was raised in an animal sanctuary in Shanghai. Panda loves his heritage and is fascinated by all sorts of Asian culture, although he now lives in Seattle with his two adopted brothers. Giant Pandas in the wild are solitary creatures, with limited social interaction. This isn’t true of Panda, however! He loves spending time with his brothers and interacting with other We Bare Bears characters or his many followers on social media! He even likes to go on dates. In the wild, 99% of a Giant Panda’s diet consists of bamboo, and they can eat up to 30 pounds of bamboo a day! Panda Bear sometimes eats bamboo, but his favorite food is definitely dumplings! Panda Bear is also a vegetarian, and while Giant Pandas mostly eat bamboo, they can sometimes eat other foods as well including birds and rodents. Giant pandas have a notoriously bad vision, and so does Panda bear – he wears contact lenses. A fun fact about pandas is that they have pseudo “thumbs” which help them to hold bamboo. 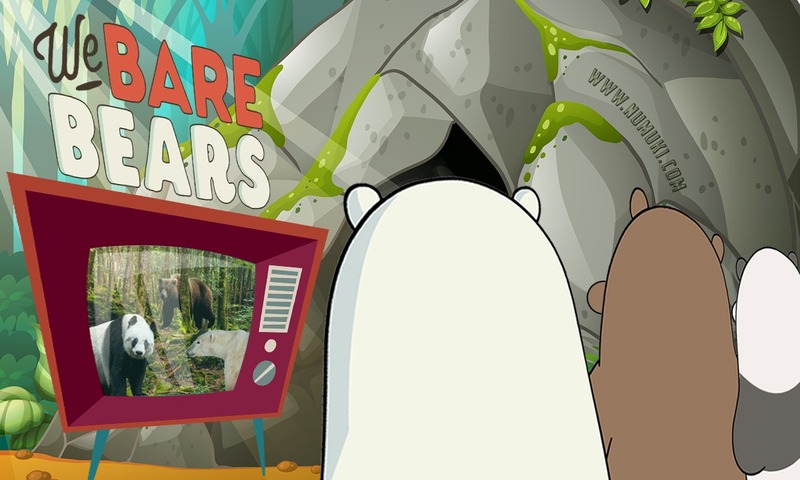 Grizz, Ice Bear, and Panda Bear are definitely not your average bears. You would be much happier to meet them for dinner than you would any wild bears! Make sure to keep the three brothers happy by playing some fun games with them online!